Florida First time home buyers face many challenges, down payment being the biggest. 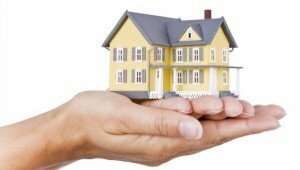 Additionally, their credit may not be as strong as current homeowners thus creating more challenges. The FHA mortgage is a great program that allows non military borrowers have a chance to obtain financing for their home purchase in Florida. FHA Loans adopt a “common sense underwritten” and the main thing they want to see on a Florida FHA Loans is that the borrower can afford their payment and has a attempting to settle payments they have not been able to pay on time. Another advantage for First time home buyers is that the Florida FHA Mortgage does not require reserves in their account in order to be approved for a FHA Mortgage. Most conventional financing requires several months’ payments in reserves at least. Often times they want to see up to six months of their mortgage payments in reserves to be qualified. With FHA Loans first time home buyers can get a loan without having to save up for years to get approved. In order to get an FHA Mortgage, borrowers only need to put down 3.5% of the purchase price of the loan. This down payment does not necessarily have to come from the borrower themselves. They can receive the 3.5% down payment from a family member, their church, their job, or from another quailed source. In addition the closing costs can be gifted from the seller of the property up to 6% of the sales price. This means that a first time home buyer looking to purchase a home in Florida with no money out of their pocket can actually accomplish this feat with an FHA Loans! FHA also has a special program for HUD owned properties called the HUD $100 Down Program. Like the name says, this program only requires $100 down payment for select HUD owned properties! The FHA Mortgage allows not only first time home buyers but also existing homeowners to get access to safe and secure 30 year fixed rate mortgage loans. The FHA mortgage insurance requirements is similar to conventional financing which means that FHA Loans holders can enjoy reasonable monthly mortgage payments. In order to obtain financing, the loan applicant needs to apply with an FHA approved mortgage company such as us. You can apply for a Florida FHA Loans on our website and one of our loan specialists will follow up with you immediately to go over your options and pre-qualify you for your new loan, often time in 15 minutes. Check out all the most commonly asked FHA FAQ’s here. Florida homebuyers – please visit www.fhamortgagesource.com for more info, or call 904-302-6060./ We are available to serve you 7 days week.